Generally speaking, homeschooling occurs when parents decide, for one reason or another, to remove their children from the public school system and take charge of their education — organizing subjects, teaching lessons or arranging for tutors, evaluating progress, and supervising social contacts. One of the primary responsibilities of a parent it to educate their child. It is important to carefully assess the advantages and disadvantages of homeschooling before you remove your child from the public school system. Individual attention – In a large classroom, a teacher does not have the time to give specific individual attention to each student. In a homeschooling situation, parents are able to devote more time to their children and, because they know their children personally, can tailor curriculum and teaching styles for each child. Curriculum choices – Because of the wide variety of homeschooling and online curriculum now available, parents are able to include their child’s interests in lesson planning – something a public school teacher does not have the time or budget to accomplish. Focused study time – Unfortunately, much of the time spent in public school is not focused on learning but on the administrative and organizational details of the school itself. When a child is homeschooled, time spent waiting on lines, waiting for other students to finish learning tasks, lining up for lunch and other non-learning time is converted into available learning hours, leaving the student to complete their work as quickly as they wish and move on to other learning interests. Family time – If structured correctly, homeschooling can assist parents in creating an improved family experience that will positively influence their child’s life and instill values that will serve as guidelines in adult life. Real-life education – In addition to a formal curriculum tailored to a child’s interests, homeschooling provides the opportunity to offer “real life” or “context-based” educational opportunities that are not available in public schools. Many parents use homeschooling time to introduce their children to money and banking, cooking, organizational skills, personal communication skills, etc. Creativity and imagination – When public schools experience budget cuts, the “creative arts” often suffer. Homeschooling can be structured to expose children to music, the arts, literature, and communication skills that might not otherwise be offered in a public school setting. Socialization – Many homeschool parents cite removing their child from a peer-pressure atmosphere as an advantage of homeschooling. Some parents also consider the advantage of being able to offer their child a morals-and-values based education through homeschooling. The U.S. Department of Education, National Center for Education Statistics (NCES) defines “homeschooled children” as “Children ages 5-17 in grades equivalent to at least kindergarten and not higher than 12th grade who receive instruction at home instead of at a public or private school either all or most of the time.” Using this definition, the NCES estimated that approximately 3.4% of the school-age population was homeschooled during the 2011-2012 school year. According to the website FamilyEducation.com, 2015 general estimates agree that “the number of homeschooled children in the United States is somewhere between 900,000 and 2,000,000. Those with a pro-homeschool view would like to lean toward the higher end of the range while those with an anti-homeschool bias would tend to lend credence toward the lower end of the range.” (Read more on FamilyEducation: http://school.familyeducation.com/home-schooling). In 2015, the Coalition for Responsible Homeschool Education (CRHE) estimated there were approximately 1.8 million school-age American students attending homeschools. Although homeschooling is legal in all U.S. states, it is still a subject of legal debate. Fortunately, the debate is not about the right to homeschool children, but about the amount of state regulation that should be applied to the process. Some states require no notice that a family intends to homeschool their child or children. Others require the filing of an official notice with local school officials. (NOTE: States vary in terms of what must be included in the notice.) Some states require that a fully credentialed teacher must supervise the homeschooled child’s education. Some require that the homeschool student must be enrolled in public school and some states allow students to enroll in a public school but don’t require that they do so. Some states actually prohibit homeschoolers from enrolling in public schools. The United States Supreme Court has never ruled specifically on homeschooling, but in 1972 it did rule that Amish parents could keep their children out of public schools for religious reasons. The Court also ruled that parents have the basic right to “establish a home and bring up children” along with the right to “worship God according to the dictates of [their] own conscience.” The combination of these rights is why, In the United States, the Supreme Court considers homeschooling to be a fundamental right under the Court’s concept of liberty. While this precedent does seem to favor educational choice, that choice is conditional on states setting standards specific to homeschooling. In some states, homeschooling regulations are moderate or heavy and other states have few regulations. Some states allow parents to formally withdraw their children from school and begin educating them at home while other states’ parents are required to report regularly, show proof of actual progress, and/or keep certain state-specified records, such as attendance, subjects being taught, who the teacher is and whether he/she is certified to teach in your state, etc. The bottom line is that, while every state has SOME requirements, a lot of variety exists in terms of the type, level, and the number of regulations levied on homeschooling. No two states treat homeschooling in exactly the same way. (For more information about homeschooling regulations in your state, click here. Can I homeschool if I don't live in the U.S.? Homeschooling from a location outside the U.S. is very similar to homeschooling in the U.S. Just as in the U.S., rather than being taught in a traditional school, your child is taught from home. Just as in the U.S., you can either be your child’s teacher or you can hire a teacher or tutor to do the teaching for you. Remember, when you are living internationally, attending to your child’s personal and social life will be even more important because socialization opportunities will be extremely important as a way to reduce “culture shock” for your child. While homeschooling costs are fairly reasonable, it is important that the teaching parent does not work outside of the home. If your family is accustomed to two incomes, some sacrifices will need to be made in order to function on just one income. How do I legally move my child from public school to home schooling? There are certain procedures that must be followed when moving a child from public school to a homeschooling situation. It is important to remember that these procedures vary from state-to-state and that the homeschooling laws for your state must not be ignored or your child may be considered “truant” in terms of his or her public school attendance. Review and understand the homeschooling laws of your state and know your homeschooling rights and responsibilities. (Click here for links to state laws.) Don’t try and second guess the homeschooling laws and regulations of your state – follow the rules exactly and learn to use them to your advantage! Write a letter of transfer to the public school your child is attending. Be sure you have two copies of the letter – one for the school’s permanent records and one for your permanent records. Mail the letter to the school “Return Receipt Requested” or hand-carry both copies of the letter to the school and ask the secretary or principal of the school to sign and date both copies, acknowledging that they have received the letter of transfer. Remember – verbally informing a teacher or school administrator that you are withdrawing your child is NOT the same as officially withdrawing your child from school. If the school does not receive written notification from you, your child will not be recorded as withdrawn and will be considered to be truant. Do colleges accept homeschooled students? Even if a homeschooled student has no standardized test scores or official transcripts to submit, many colleges are willing to accept their application. If your homeschooled child is interested in going to college, you should start when they are in their early teens to research colleges that are homeschool-friendly. Be sure to talk with admissions counselors at various colleges, some of whom are specifically assigned to work with homeschooled applicants. Be sure you are clear about which application materials and pre-requisite classes the college of your choice requires of homeschoolers before they can be admitted. You don’t have to be a trained teacher to manage your child’s homeschool and/or online learning program, but you must be prepared to be completely dedicated to the effort and accept that the experience will include a lot of hard work and time. Do I have to teach all the subjects myself? The most important thing a homeschooling parent should remember is that he/she will be in charge of their child’s complete educational experience. This doesn’t mean one parent needs to know everything about every subject. It does mean that, if you have limited knowledge in a subject, you are responsible for designing educational opportunities for your child that can fill in the blanks in your knowledge and experience. Homeschooling using online education programs requires that parents have at least a basic understanding of core academic subjects. You don’t have to be an expert in every subject, but you must understand basic concepts related to mathematics, English grammar, science and history. If you feel you do not have a working knowledge of these subjects, you can still succeed in homeschooling your child if you are willing and have the ability to learn about topics as you work with your child, or, if you are financially able to hire a tutor to fill in those areas you do not feel qualified to teach. To successfully homeschool, a parent must also have good organizational skills in order to manage a homeschool or online education program. You will have to locate, review and assess a wide range of learning materials and opportunities and plan learning activities for your child, both educational and social. Can homeschooling help ADD/ADHD children? 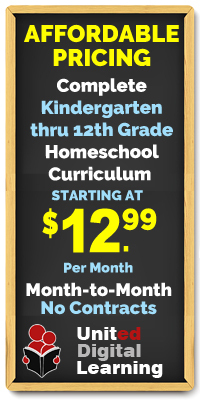 Many families find homeschooling to be an excellent solution for their ADD/ADHD child. Homeschooling provides the one-on-one attention required by many ADHD children to succeed in an educational environment. Because an ADHD child has very unique needs, providing a homeschool education for that child may require more structure and attention than might be typically provided in a public school setting. What should I do to supplement my child's social life when homeschooling? The level of “socialization” homeschool students enjoy is entirely dependent on how the adult(s) in charge of the learning experience coordinate and manage opportunities for outside activities. Not everyone who homeschools takes the time to plan extra-curricular activities or involve their children in the community. How do I know which homeschooling resources and materials to use and where to buy them? The good news is – there’s a wide variety of homeschool curriculum options available from excellent online courseware to traditional textbooks and correspondence courses. Start your research process by contacting your local and state homeschool support groups and asking them what they have tried, what has worked or not worked and why. Be sure to thoroughly research online schools and websites that specialize in homeschool curriculum products. To look at curriculum options firsthand, attend homeschool seminars and curriculum fairs in your area. Check out homeschooling laws for your state and create a plan for complying with all applicable regulations. Check with your state’s homeschooling association to find out what steps you must take to remove your child from public school. Establish your homeschool budget. Decide how much you’re willing to pay for tuition, curriculum materials and all other supplies. Will you be able to teach all subjects on your own or will you hire a tutor for some classes? Assess your child’s learning style and your teaching style. If you know what you have to work with and which instructional style will work best for your family, you’ll be more able to successfully select all the resources you will need. There are many curriculum formats from which to choose. Knowing your child’s needs will make it easier for you to select the curriculum most appropriate for his/her homeschooling experience. Locate the resources and/or online schools you determine will work for you and your children. Do your homework. This step will be of critical importance to the long-term success of your homeschooling venture.